When she's not digging up bones or other ancient objects, Ruth Galloway lectures at the University of North Norfolk. She lives happily alone in a remote, wild place called Saltmarsh overlooking the North Sea under Norfolk's vast skies. For company she has her cats Flint and Sparky, and Radio 4. When a child's bones are found in the marshes near an ancient site that Ruth worked on ten years earlier, Ruth is asked to date them. The bones turn out to be two thousand years old, and DCI Harry Nelson, who called on Ruth for help, is disappointed. He'd hoped they would be the bones of a child called Lucy who's been missing for ten years. He's been getting letters about her ever since - bizarre notes with references to ritual and sacrifice and quoting the Bible and Shakespeare. Then a second girl goes missing and Nelson receives another letter similar to the ones about Lucy. 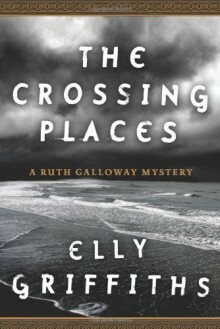 Soon it becomes clear that Ruth is in grave danger from a killer who knows that her expert knowledge is being used to help the police with their enquiries. I enjoyed this. Got a good sense of the place. Nicely thought out plot. The characters were nicely human; even the 2 main characters had believable faults and it showed how messy relationships can be in real life.